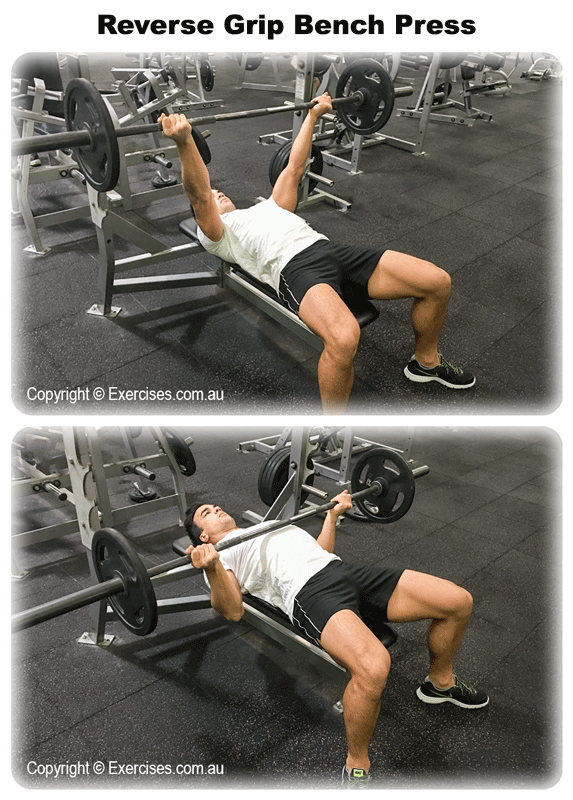 Reverse Grip Bench Press is a great exercise to add size to your upper chest and triceps while protecting your shoulders from compression forces. Not many people know that MRI shows the Reverse Grip Bench Press is more effective for building the upper chest than the traditional Incline Bench Press. 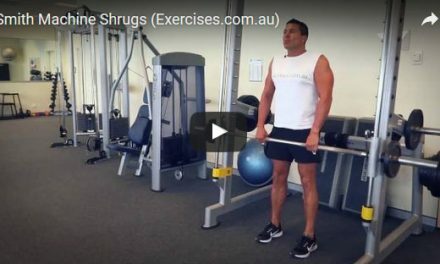 If you have shoulder problems from Bench Pressing, switch to the Reverse Grip variation. For safety, use the Power Rack and set the pins at a height that is level to your chest when you are lying on the bench. Line your mouth under the barbell, pin your shoulder blades on the bench and keep your feet firmly flat on the floor. Arch your lower back but always maintain contact between your buttocks and the bench. Your grip width is a matter of comfort but it is advisable to maintain the width of your Bench Press. Grab the barbell with an underhand grip. The barbell must be resting on the meaty part of your palm; make sure to grip the bar tightly with your thumbs. Take a deep breath, un- rack the bar and slowly bring it down to a point on your chest that is lower than the regular bench press. The most challenging part of the Reverse Grip Bench Press is the underhand grip. As long as the bar rests on the palm, just grip tightly and you will be fine. The natural arc of this movement will bring the bar to an area below your usual press up point in the Bench Press. Remember to just press up in a straight line and not toward the J-hooks.